You won’t find homes with laser garage-door openers in Belize, nor anything like a garage in what is still a “developing” [poor] country, where most people can’t afford a four-wheel vehicle anyway. And most of the four-wheelers you will see are prehistoric vehicles made in the eighties or nineties and prone to break down and break down frequently. With the price of gas running always between $5 to $6 U.S. per gallon, those who own vehicles keep them parked at home as much as possible, in the yard of a home if not the side of the nearest road. People here walk, and walk a lot, more often than not burdened by the weight of something very heavy they have to carry. 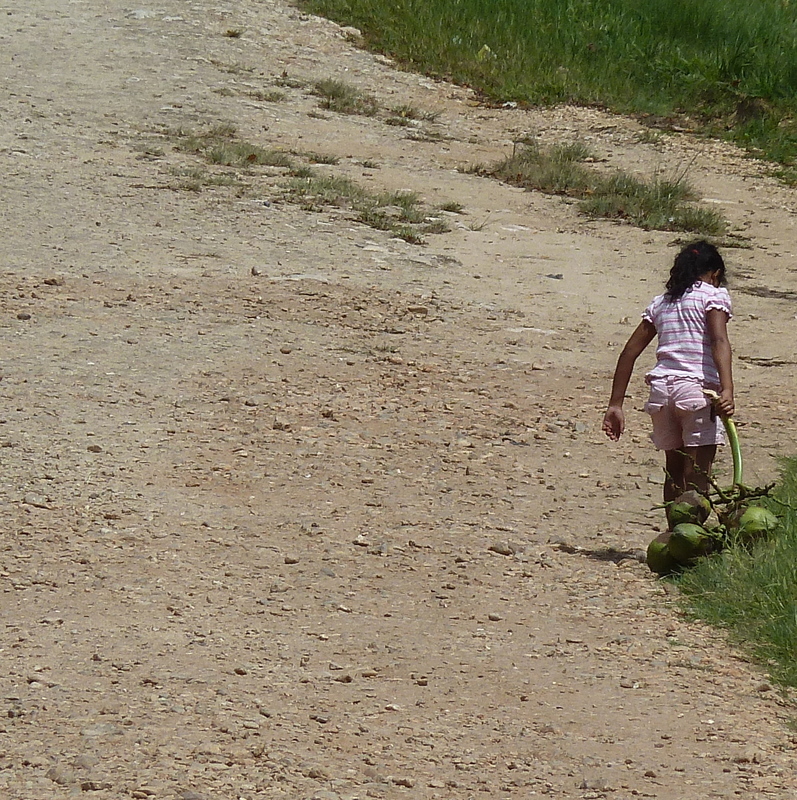 And on the mainland in Belize, the carrying is quite often up and down some steep and very steep hills. 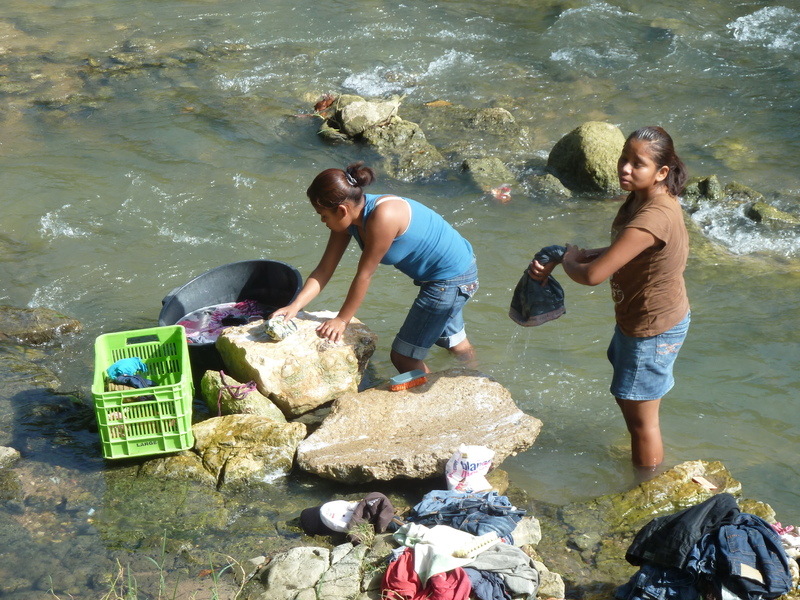 Try lugging piles of clothes to the nearest river or waterway to wash and scrub your clothes with soap on the rocks, and then lugging those wet clothes to your home to hang up and dry, often making multiple trips. And mind you, this country has six months of much and very much rain–which is not conducive to drying your piles of children’s school uniforms and all the other family clothes. I thank God every day for what the poor or supposedly “disadvantaged” teach me (“disadvantaged”: there’s a word that needs to be forever deleted, considering how spiritually advantaged even the materially poor kids still can be), for the inspiration they give me, and most of all for my abundance of blessings of so many comforts and conveniences that so many in the world are lacking. I’m thankful for those that offer a glimpse of discernment when I’m too wrapped up in my own life. Thanks, Reverend.